I can’t put into words how amazing the band were. It made the wedding PERFECT! They were so brilliant with the crowd & let my nephew join in. Can I leave a review anywhere? Please send on our thanks to the band, they really made the day extra special & we are so happy. It was honestly magical & they were my best Booking!!! The event was fantastic thank you and I wouldn’t have been without the band. They were wonderful! So many of our guests have commented on how good the entertainment was so thank you so much. 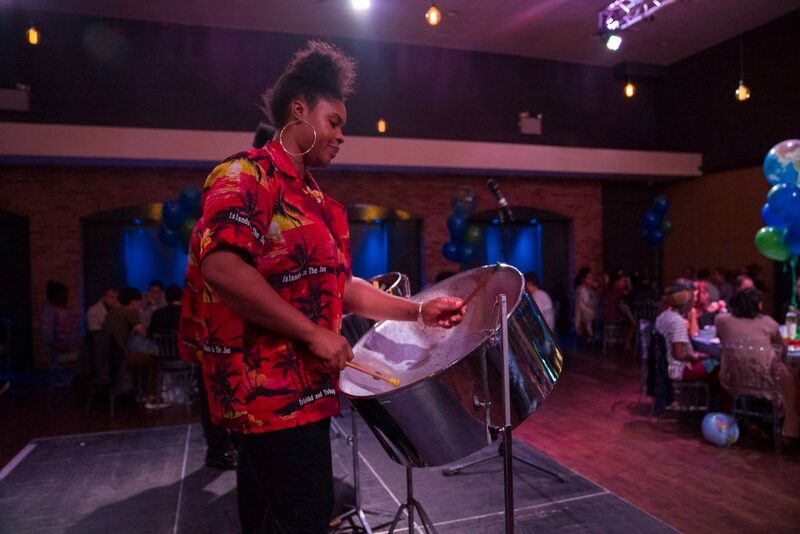 I just wanted to pass on my thanks to you to give to the incredible steel band that performed at the Housebuilder Brain Game on 3 May 2018. They were absolutely fantastic, and I know there are a few more bookings coming from Marie Curie for them in the upcoming months! I’ve been trying to post a review for John and the rest of the band who played at our party last Sunday. Would you do me a favour and post this to the appropriate web site ( see below). 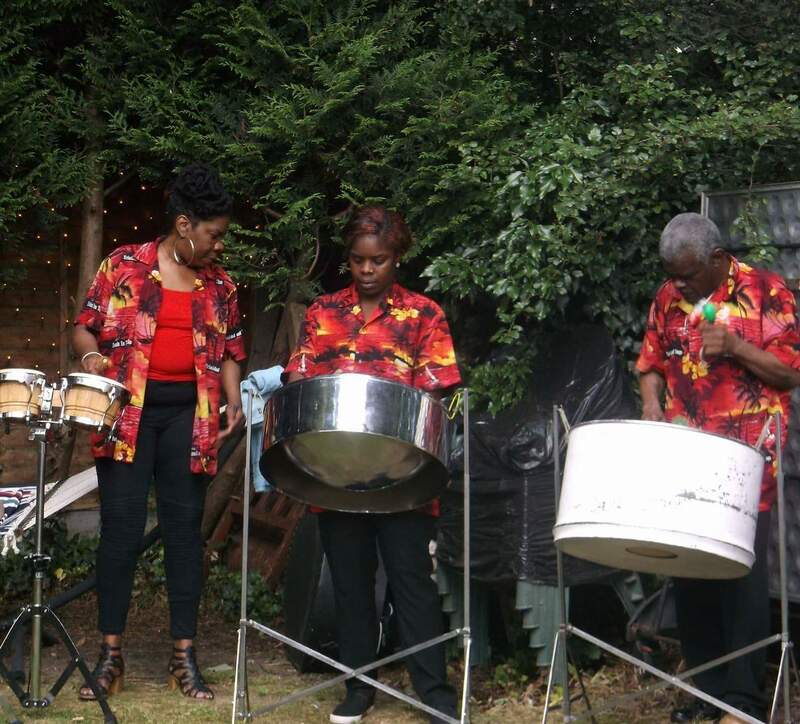 TESTIMONIAL – CARRIBE STEEL BAND – ***** 5 stars! 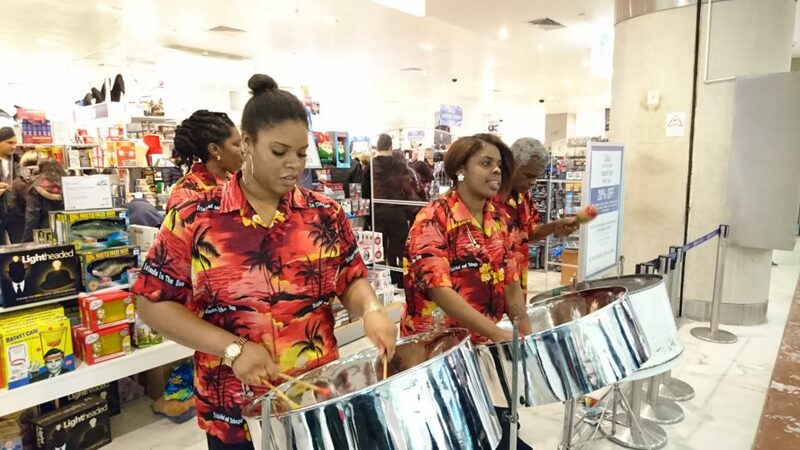 I had an email from Titus (via www.musicforlondon.co.uk) who put me in touch with John Thomas and The Caribe Allstars Steel Band and I have to say I cannot thank these guys enough. I have received nothing but positive comments about the band and how it was a pure stroke of genius having them play; they really made a small garden party very special. I can express how fantastic you were and what a big part you played in our wedding. The energy, joy and love was evident and you made the first half of our day so fun and special and something all the guests are still talking about. You were just fantastic and I am so lucky to have found you to play at our wedding. On behalf of the team here, I wanted to say another big thank you to you and the rest of the band for a fantastic performance at our event on Saturday. We received lots of positive feedback and many comments of people enjoying the music you played. Hopefully it sparked interest for you and other bookings will come through from your time performing in the high street. Just a quick note to say how fantastic the Steel Band were. They sounded absolutely brilliant and everyone at the party commented on what a lovely sound they made. A few people have asked me for the contact details so I hope that they get some more bookings from them. 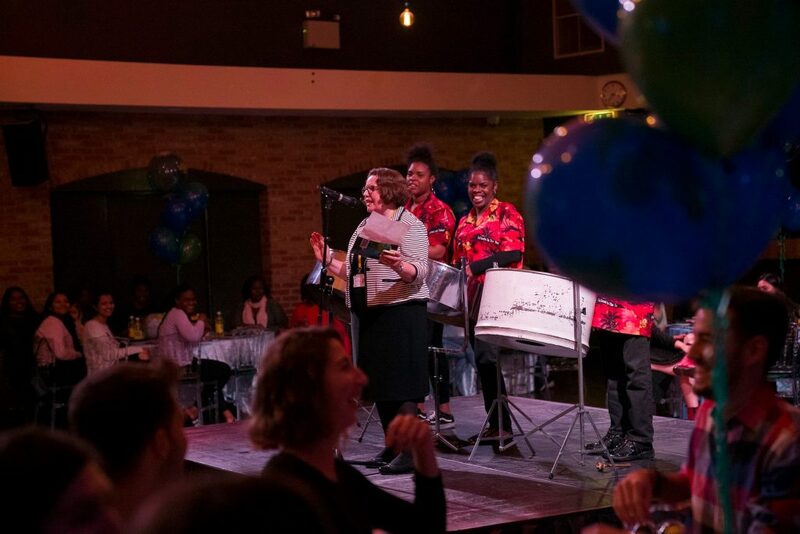 On behalf of the Friends of Belmont, I wanted to express our huge thanks to the incredible steel band for braving the drizzle and supporting B-Fest this year and to you for helping to make it happen! The band were amazing and we have had so much positive feedback about them. They really gave the day a carnival feel and helped create a wonderful atmosphere! We would definitely be keen to use them again in the future! Just back to work today after a good break. The party we had was wonderful and the band were genuinely excellent. We’ll definitely be in touch again soon about more performances. Our garden bar sounded great with the Caribbean vibes, and lots of people commented that it was a great way to bring in the new year. I just wanted to drop you an email before we head off on honeymoon to say thank you to the band for their brilliant performance at our wedding reception on Friday. They created a lovely laid-back atmosphere during the drinks reception and later at the cocktail hour, and put a big smile on everyone’s face! Please do pass on our thanks to each of them for helping to give us our perfect wedding day. I hope you are well? I just wanted to say a big thank you to the guys in the band last Friday. They were really amazing and fitted in with the event perfectly. Apologies for taking so long to say this but I have only just got back to the office as I have been away. I want to say a huge thank you to the musicians. They made our wedding a wonderful and special occasion. Professional, punctual and a joy to work with. My guests loved the music and it was a unique touch to our ceremony. I just wanted to get in touch to say a huge thank you to John and the rest of the band for playing at our wedding on 6 October. They were totally brilliant and helped to set the tone of the afternoon really nicely, with everyone enjoying the music with big smiles on their faces! They were really professional and helped make the day extra special. Thanks again for getting things arranged for us, and please pass on our thanks to the crew. I unfortunately didn’t get chance to thank Carribe Steel so I wonder if you could please pass on our thanks for providing the music for our summer ball. They really were very good and fitted the occasion perfectly. The guests enjoyed the night’s entertainment. They were absolutley fantastic, We were really pleased, everyone commented on how good they were. We will definately be recommending them to friends and family. Thank you all again and please send on my apologies that I was unable to get to them to say thank you. I am just emailing to say thank you to John and the Carribe Steel Band for playing at our wedding on 30th July, and I would be very grateful if you could pass on our thanks. They were absolutely fantastic and everybody loved it and hasn’t stopped talking about them since. They were such a perfect surprise for all our guests (we hadn’t told anybody we had booked them! ), and I wouldn’t hesitate in booking them for anything else we plan in the future. 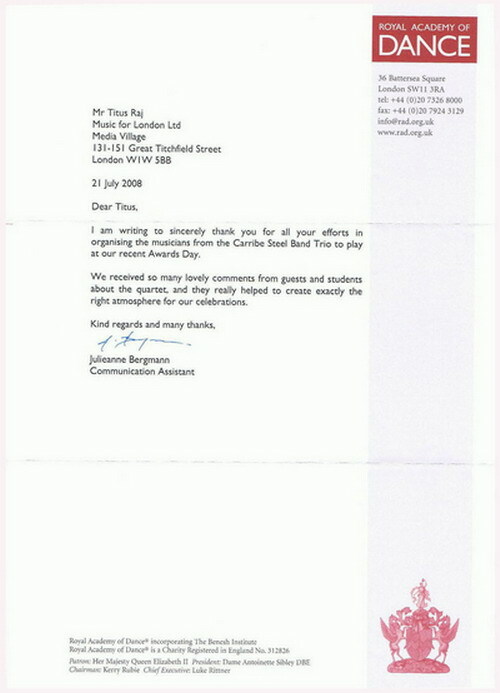 I just wanted to e-mail you and say a big thank you for your steel band. As per arrangements they turned up on time, played excellent music which was appreciated by all at our event. 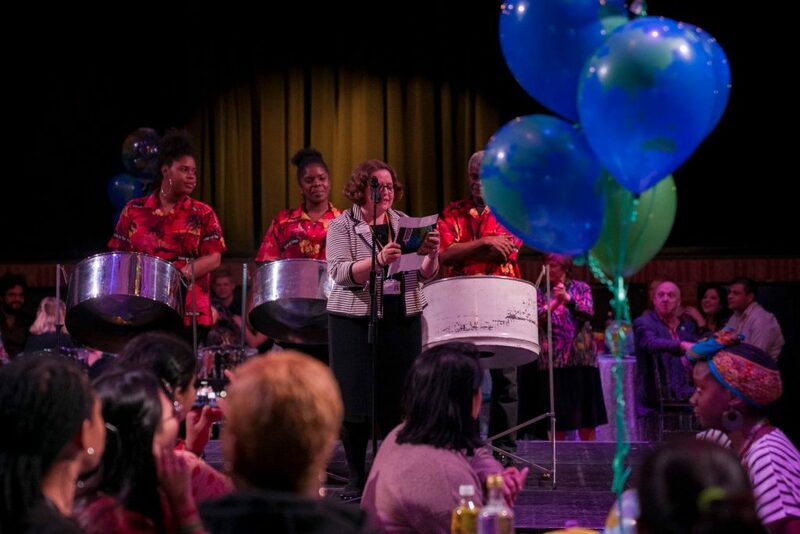 We are all still talking about the steel band and how good they were on the night. Thank you so much for making our party really special, everybody commented on the steel band and thought it was a lovely idea so a big thank you to you and your team!!!! We will definitely be using you again!!! 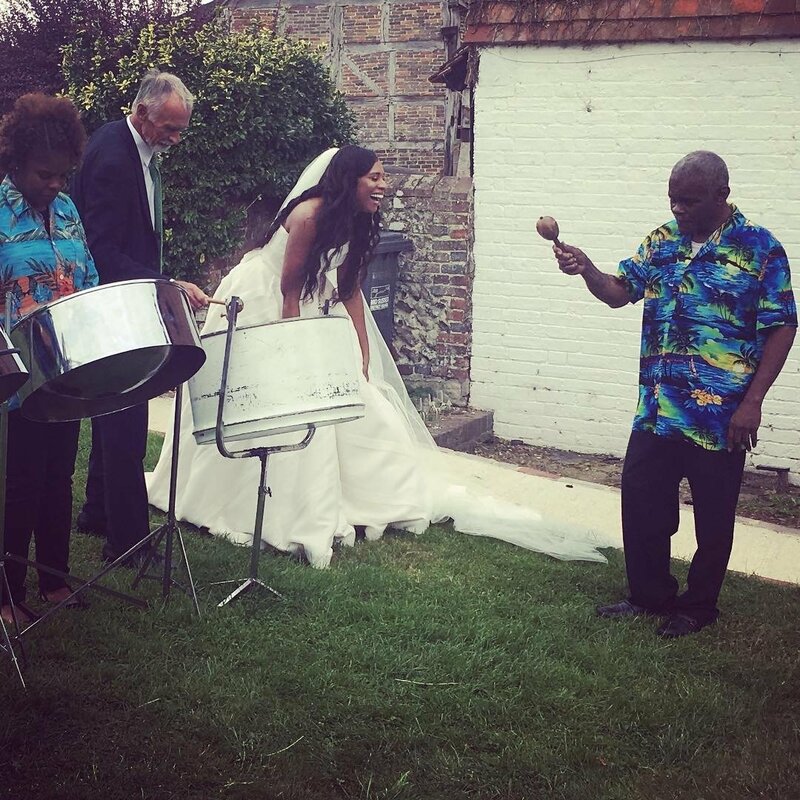 Just a quick e-mail to ask you to send our thanks to the steel band and John Thomas who played at our wedding at Orchardleigh House last Saturday (12 June). The band went down a storm and everyone commented on how great they were. We really enjoyed ourselves and were sorry we were unable to say thank you on the day. Thanks for organising the band. I’d just like you to give the Band a BIG THANK YOU for a brilliant session at my Party on Saturday, everyone really enjoyed it and although the weather wasn’t very good they made a great atmosphere. Just to say we had our event last night and it was a roaring success. John and his team were amazing and really helped everyone get into the spirit. They even stayed at the end to present prizes to each team for coming 3rd, 2nd and 1st. It was a lot of fun and we will definitely recommend John and music for London to others. Please let John know how great we all thought he was. On behalf of everyone at Maggie’s, I’d just like to thank John Thomas and his band for such a wonderful performance on Friday evening at this year’s London Night Hike. They did an absolutely fantastic job setting the mood for all participants as they came out of City Hall having registered for the walk. Likewise they provided a fantastic accompaniment for the walkers as they left City Hall and made their way along the Queen’s Walk at the start of the route. John was even keen to come back the following morning which unfortunately was too late for us to organise but the thought was very much appreciated and we would definitely book them again for future events. I just wanted to say thank you so much for playing at our party on Saturday night. Everyone loved you guys and it was a beautiful sound. You created such an atmosphere. And thank you for a very long encore! Most possibly we will see you again in the future. Just a quick email to say that Carribe Steel were brilliant on Saturday. I will definately recommend them in the future. I just wanted to say that the band you engaged to play at my party yesterday evening was wonderful! They played beautifully, and for the entire evening and were a delight to have with us. Thank you so much. Just a quick note to let you know that everything went extremely well at the Child Line Ball on Tuesday night. Caribbe were just perfect at the drinks reception as were the Bayswater Blasters for the dinner. Happily the guests took ages to walk in / get seated so they were treated to lots of carols from the girls, and we still managed to get them away by 8.30 which was good. So thank you for all your help. You will be pleased to hear that there were about 200 CEO’s & senior heads of marketing from major UK Companies in our guest audience, and of course, any enquiries for either of your performers we will send over your way immediately! We just wanted to write to thank John and his fellow musicians for a brilliant morning at school this morning. The teachers didn’t walk around the corridors this morning, they danced. The children and staff loved listening to the steel pans and we were very impressed with the way John and the others played for 3 hours without a break. We have ordered some steel pans that John is going to make for us, so we will be looking forward to taking delivery of those in September. I haven’t got much work done this morning because I was enjoying listening to the music too much!